The 2004–05 season of Ligue 1 was a very close-run battle. Separating fourth placed Rennes, who enter the UEFA Cup and 18th placed Caen, who get relegated to Ligue 2, were 13 mere points. Lyon were long time leaders and had won the league back in April 2005. On the last day, 4 teams could've got the 4th place guaranteeing a place in the UEFA Cup and any 2 from 6 teams could've been relegated before the final games. 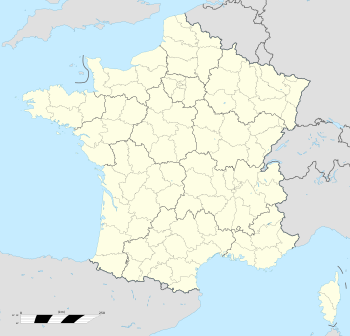 ^ Auxerre was qualified for the 2005–06 UEFA Cup as winners of the 2004–05 Coupe de France. ^ Strasbourg was qualified for the 2005–06 UEFA Cup as winners of the 2004–05 Coupe de la Ligue. ^ "UNFP – Archives". Archived from the original on 13 April 2005. Retrieved 5 December 2008. This page was last edited on 4 September 2018, at 10:38 (UTC).